During the late 1970s and early to mid 1980s, the lightweight division was full of talented fighters that included names such as Hector Camacho, SR, Edwin Rosario, Roger Mayweather, Cubanito Perez and our man of the hour in this interview, Tony “The Tiger” Baltazar, who by the way, when he was younger, looked like a dead ringer for a young Tony Danza when he starred on the TV show Taxi. Tony, a tough as nails fighter based out of Los Angeles, California, would turn pro on Feb 8, 1979, when he stopped Art Silveira in just the first round of their boxing match. From there, Tony would fight seven more times in just 1979 which today, a fighter is lucky to have a total of five fights per year, even an upcoming prospect for the most part. Tony would win via the TKO, KO and decision route remaining undefeated in 24 fights over a four year period. 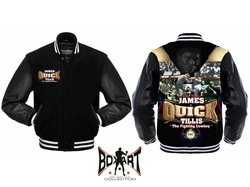 In his 25th fight of his career, he faced former 1976 Olympic Gold Medal winner and slick boxer, Howard Davis, JR. In this fight, Tony would taste defeat for the first time via a decision in Davis’ favor. 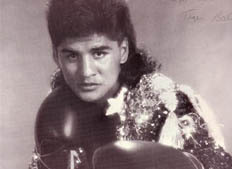 Tony would go on in his boxing career, beating some big names along the way such as Roger Mayweather and Roque Montoya, while being stopped by another hot prospect named “Rockin” Robin Blake. Baltazar for whatever reason which we will get into during our interview could not secure a World Title shot until his 11th year as a professional fighter when he faced Hector Camacho, SR. for his WBO Junior Welterweight Title on August 11, 1990, dropping a decision to the “Macho Man”. Tony would challenge for another world title on March 22, 1993, but in this title attempt, he would not fair so well being stopped in the first round by Carlos Gonzalez. Baltazar would fight on for another year, winning one and losing another. He retired for the next six years, but made a brief comeback to raise money for his son’s Kody foundation. After one fight back and winning, Tony knew his boxing days were over and would pursue other avenues to raise money for his son’s foundation. Tony ended his boxing career with a record of, 39-7, 1 NC, 30 KO’s. On August 19th, Tony and his brother Frankie Baltazar are going to be inducted into the California Sports Hall of Fame in Studio City, California. These are the warriors of yesteryear that boxing tends to forget, but RSR will not allow that to ever happen. BB: To catch up the readers who many will instantly know your name, fill them in on what you have been up to since you hung up the boxing gloves in 2002? Though a lot of my family is still in California, I stayed in Arizona because I have two teenage daughters that I love to be a dad to. Currently, I work as a salesman for Danny’s Family Carousel here in Phoenix, AZ, selling detail packages for cars. BB: RSR recently did a a heartfelt tribute on you recently that actually had you and your father writing in to thank him. In his article, he chronicled the sad story about you losing your beloved son Kody to a disease, but in his research, he couldn’t find the name of what took this little angel. Let’s talk about the disease so we can raise awareness on it and maybe help find a cure through donations to charities out there battling to find one and if any of our RSR readers feel inclined to donate. Kody was born with Down Syndrome, but that is not what took his life. He also had heart problems and a condition called Tetralogy of Fallot, which is when your heart is not completely formed. In addition, he also had three holes in his heart. Kody was a gift from God. He was the happiest kid in the world and lived until he was five years old. During those five years, he had three open heart surgeries. After each one, this little man would bounce right back like nothing happened. He was a true fighter and touched everybody that came into contact with him. My son Kody really taught me a lot about life and changed it for the better. I will be honest with you to say I was very arrogant when I was a fighter because of the success that came my way and it carried over in my life for many years. Kody humbled me! BB: Did you have an amateur career and if so, how did you fair? Were there any big names you beat during that career? Amateur career? Are you sitting down? My first amateur fight was in 1964 as a young three and half year old. Between 1964 and when I turned professional in 1979, I had over 350 amateur fights. I won the Junior Olympics and the Golden Gloves. BB: Were there any fighters you beat in the amateurs that went on to make a name for themselves in the professional ranks? Yes, I beat John Montes and there were a few others, but I cannot remember them. BB: You turned professional on February 8, 1979, when you knocked out Art Silveira in one round. What was like to have your first professional win under your belt and by the big KO? To be honest, I fought all of my life so having my first professional fight under my belt did not affect me as it probably does so many other fighters. I was just going to work. BB: In just your first year as professional you fought a total of 8 times. In today’s boxing, you hardly see that even from a young prospect on the rise. Why do you think that is? Back in those days, the purses were very small compared to what it is today. The training we did back then and today is completely different. Sure they are more advanced in their training methods, but we took our training a lot more serious. Today Boxing is just a money sport. I see guys with 8-12 fights under their belt and they are not fighting for a world championship. You can see them in the ring, but they are not at the level that they should be. BB: In your first 24 fights of your career, you fought them all in Los Angeles except for one that was held in Sacramento, California. LA fans love boxing and I assume that you really built up a following. Talk about those times and what it was like fighting in front of them. I stayed in California because that is where I fought as an amateur so it only made sense to turn professional there as well. The following came way before my professional fight in 1979. It was great to have the fans behind me. BB: In your 25th fight as a professional you faced Howard Davis, JR., on February 27, 1983, in a bout that was aired on CBS. It’s weird to say that today since the major networks show zero boxing, but in your day, it was a fixture on them for the most part. In this fight, you lose for the first time via a point’s loss. What do you recollect about this fight and what did you take away with the L on your record that you wanted to improve on? 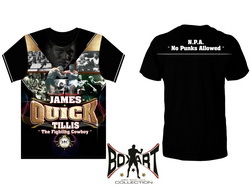 When I faced Howard Davis, JR., I went into the ring knowing he was the former 76 Olympic Gold Medalist and what he accomplished as a pro as well to this date. I knew it would a tough fight because Howard was very quick. In this fight, I learned about the true politics of boxing. No matter what I did in the ring, I was supposed to lose. I really think I won the fight. Looking back, I can tell you my Dad said to me it was a close fight, but when he saw it on tape, he changed his mind totally and thought I won. BB: You get right back in the ring beating rugged Roque Montoya on June 17, 1983, by a ten round decision. In your next fight just a little over a month later, you faced highly touted lightweight prospect “Rockin” Robin Blake who stops you for the first time in your career in the 9th round. How do you rate Blake as a fighter? Also, how did a TKO loss affect your state of mind? I never even heard of Robin Blake before I fought him. But after the fight, I rated him as a world class boxer. Honestly, after I fought Howard though I lost, I kind of got a little celebrity and some money, which went to my head. I trained for the Blake fight, but not like I should have. After he stopped me, I knew right away that I needed to take my training serious for the rest of my career! BB: After the Blake fight, you take a couple of months off and then, reel a TKO win over Lupe Rocha. From there, you face former WBA Super Featherweight Champion Roger Mayweather who is moving up in weight and you beat him via a unanimous decision. I am very surprised that with this big win on your record, you are not immediately offered a world title shot. What happened that you were not given a title shot against the then WBA Lightweight Champion Livingstone Bramble or WBC Champion Edwin Rosario? That is a very good observation. It’s funny, when I look back on what you actually mentioned; I realized I was always supposed to have been the underdog going into any of my big fights against guys in the top ten. I guess I have to blame my management at the time whether it was my Dad or whoever, but in hindsight, I really cannot answer this question on why that happened to me. Bottom line: I should have gotten a title shot after this win. BB: After the Mayweather win, you took off an entire year from the ring and came back in December of 85 with another KO win over Darryll Cottrell in two rounds. From that fight, you stay out of boxing for two years (86-87). What was going on to keep you away from the ring and building on that big points win over Mayweather? It was actually 30 months I was away from the ring. I was involved in an accident that had me drunk behind the wheel and I was convicted for and went to prison. BB: Between 1988 and 1989, you reel off five wins, then face slick boxer Buddy McGirt. In this fight, you drop a unanimous decision to him. What do you recollect about this fight? What do you think of McGirt’s life after boxing as a World Class trainer for many champions? I remember I hit Buddy so hard that I dropped him and didn’t think he was going to get back up, but he did. At that moment, I realized once again in my boxing career, I was back facing world class competition. Buddy was a tough fighter and I do think he won this fight fair and square. I am in awe of what Buddy has done as a trainer. I would have to loved to have been a trainer, but I wanted to stay in AZ to be around my two daughters. BB: After the loss to McGirt, you reel off three more wins and finally in your eleventh year as a professional fighter, you faced then WBO Junior Welterweight Champion of the World Hector Camacho, SR, on August 11, 1990. You go the distance with the “Macho Man”, but drop a wide margin unanimous decision. You are 29 years of age at this time and as I mentioned, fighting professionally for 11 years. The boxing fan looking would say you were young in age, but far past your prime. Would you agree with this observation? And had you met Camacho six years earlier after your win over Roger Mayweather, do you think the outcome would be the same? I totally agree with your observation that I was past my prime in this fight. Yes, I feel the outcome would have been different if Hector and I had met six years earlier, the fight would have been different. It would have been a tough fight, a heck of a lot closer and in the end; I think I would have won it. In our title fight, I hurt him with a body shot during one of the early rounds and knew it. But being friends with him, I just couldn’t go in for the kill and hurt him. I love Hector to death and we remain friends till this day. BB: In your final attempt to secure a Word Title you face then WBO Junior Welterweight Champion Carlos Gonzalez on March 22, 1993. In this fight, you are out of there in just one round. What are your recollections of this fight? I caught Gonzalez in the first round with a left hook that had him wobbling all over the ring. My first instinct was to jump on him and I threw a wild left hook that almost put me down and he backed up and threw a right hand that hit me in back of my head. From that punch, my equilibrium was knocked off and I went down, I got back up and he hit me again, causing me to go back down. I got back up and once again, got knocked down. The referee had to stop the fight because of three knockdown rule was in affect. I think the fight would have been different had I not been hit in the back of the head. BB: You fight on for one more year with mixed success and in 1995, you retire again, but come out of retirement in early 2002. From accounts you came back to raise money for Kody’s foundation, but did you know in this fight (points win over Eduardo Jacques) that your days in the ring were way behind you? I came back to raise money to help the foundation that I had at that time, but I knew no matter what my mind said about maybe getting a world championship shot. I knew my boxing days were over at this point. I didn’t have in my heart to fight anymore. BB: Your brother Frankie also boxed during your time as a super featherweight and retired from boxing in 1991 with a record of, 40-3-1, 27 KO’s. What is he up to today? Frankie today is an insurance adjuster out in Los Angeles, California. Actually, both Frankie and I are going to inducted into the California Boxing Hall of Fame on August 19, 2006, in Studio City, California. BB: From the day you turned pro in 1979 to the present day in boxing, what one fighter do you think moved the sport ahead the most and why? I think there are two. The first is Roy Jones, JR. He was just an amazing fighter in his prime. Second would be Oscar De La Hoya. He is not a great fighter, but he knew what he was capable of doing in the ring. They marked him well with the good looks he has and I have to give him his props because he made a lot of money in his career. I would like to see him not fight anymore and just enjoy the success he has had during his career and now enjoy his promotion company. BB: Do you favor a mandatory retirement fund for all boxers and if so, how would you like to see it accomplished? I defiantly favor a mandatory retirement fund and believe it or not, I actually have one now. Being from California, I had to pay into one and I will get it at the age of 55. Every month I get a statement from California saying how much I have in it and what it is going to. In boxing, the promoters and managers are making millions and millions of dollars off of these young fighters who are taking all the punches and some are ruined for life after their boxing career is over. I think every state should have an athletic commission that monitors boxing and ensures that fighters pay in so they can get something back in retirement. Everybody who works at a trade needs to get some type of retirement coming in for the fruits of their labor. 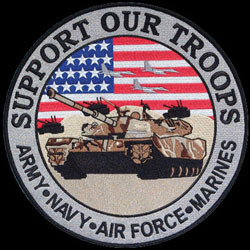 I like what Senator John McCain has done and we need more help. 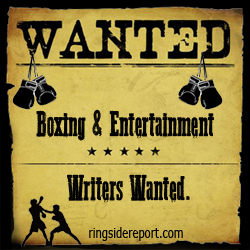 BB: What is one thing that the RSR readers can learn about you today that boxing fans might have not known before this interview? Many people didn’t know before this interview that I boxed for as many years as I did as an amateur and professional combined. BB: To all of the Tony “The Tiger” Baltazar fans around the world, what thoughts would you like to leave them with? I want them to know I love them all and thank them for all their support over the years during my career. Kids mean so much to me and I want to appeal to all parents out there to really love your kids and teach them the right things in life.